But I will… I love this little fish decoy. It is the first one that I carved. I am selling it on etsy to help buy a torch for working on my new fascination, automata. 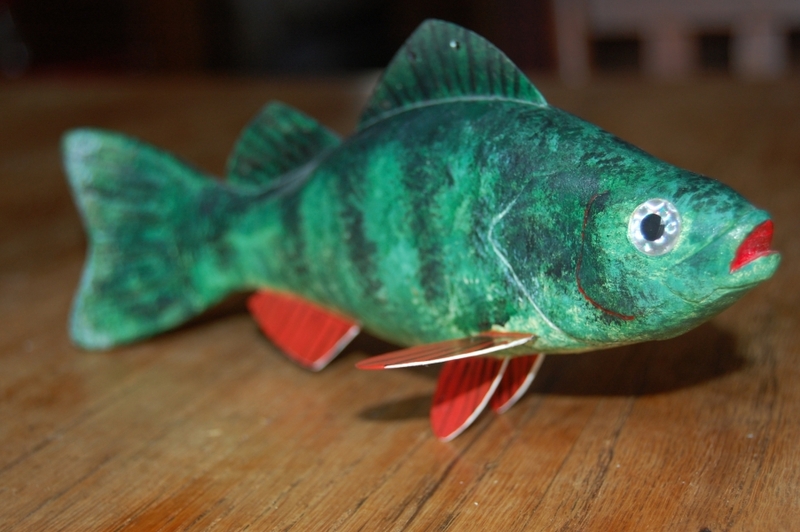 If you like little carved green fish decoys, it is here waiting for you! I will be posting more carvings including a rustic black crow on my etsy site later this week. This entry was posted on April 4, 2010 at 10:59 pm and is filed under Carving. You can follow any responses to this entry through the RSS 2.0 feed. You can leave a response, or trackback from your own site.